OptiKits! construct a complete building the fast and easy way. 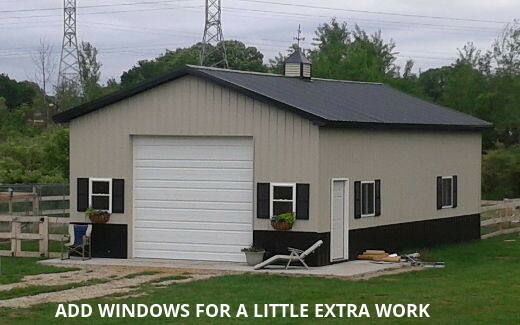 Buy one of our diy barn kits and save time and money. This is a very popular width for horse barns with 12′ stalls. These kits come with 12′ post spacings and trusses 4′ on center. Packages not intended for stalls are supplied at 9′ on center with truss spacing dependent on snow load. OptiKits! 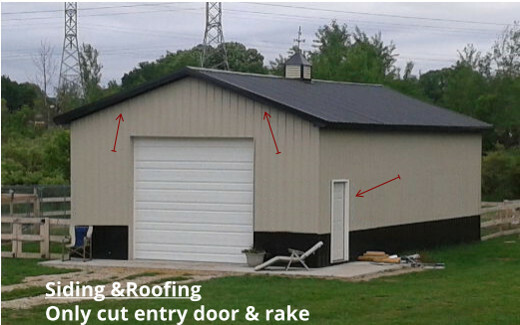 are diy barn kits designed to require less work to build than a typical barn kit. You will have more time to work on your fencing or just relax with the time saved with OptiKits!. Size changes on large openings and placement of additional doors may impact the optimized nature of OptiKit diy barn kits.